Another recent Arabic media report identifies Mazen Kahel as the director of the EPF and who praised the recent decision by Sweden to recognize a Palestinian state. An earlier report by Al-sharq.com, a Qatari news portal, had identified Zaher Birawi as the head of the EPF. On its Facebook page, the EPF describes itself as “an independent European-wide organisation based in London working to achieve a positive and accurate public opinion on Palestine”. In fact, both Mr. Kahel and Mr. Birawi are closely tied to the Global Muslim Brotherhood and Hamas support infrastructure. Zaher Birawi was identified in an Al Jazeera report as the coordinator of the International Campaign to Break the Siege on Gaza (ICBSG), a part of the Gaza flotilla movement and known to be headed by Mohammad Sawalha, a former Hamas commander and a leader in the UK Muslim Brotherhood. Mr. Birawi is the long time media and public relations spokesperson for the Palestinian Forum in Britain (PFB) , a part of the UK Muslim Brotherhood and Hamas support infrastructure and also a director of the Palestine Return Centere (PRC) which has also strong ties to Hamas and to the Global Muslim Brotherhood. In July 2012, we reported on a meeting with Hamas leaders that included Mr. Birawi. Mazen Kahel is originally from Gaza and holds a PhD in business management. He has also known to have been the Treasurer of the Comité de Bienfaisance et de Secours aux Palestiniens (CBSP), the French member of the Union of Good (UOG) headed by Global Muslim Brotherhood leader Youssef Qaradawi and which was designated by the US in 2003 as a terrorist entity in connection with Hamas fundraising. CBSP is also considered to be a partner entity of the Association de Secours Palestinien (ASP), the Swiss UOG organization also designated by the US. 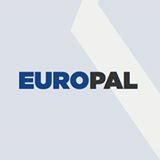 It is possible that the EuroPal Forum is meant to replace the Council for European Palestinian Relations (CEPR) where Mazen Kahel served as a member of the board. The CEPR also represented itself as an independent organization but in fact served as a pro-Hamas lobbying group at the EU level. A post from June reported that Dr. Arafat Madi Shoukri, the former head of both the ECESG and CEPR, had moved from Britain to Qatar, where Arabic media reported he now serves as director of international relations and communications of the Al-Jazeera Network. The CEPR website has disappeared and the organization appears to be defunct.